To Sweden’s shameful historical record of secret mass-deportations – thousand of Russians, Finnish and Baltic refugees condemned to perish in the Gulag after Sweden’s agreement with Stalin – the Bildt & Reinfeldt regime adds the mass-deportations of Iraqi refugees in Sweden after an agreement signed with the Iraqi regime – a country under a military occupation supported by Sweden. In Baghdad, Foreign Minister Carl Bildt announced “honour-killings” and “public opinion” as reason for stopping the refugees and to which repatriations – including forced deportation – ensued. 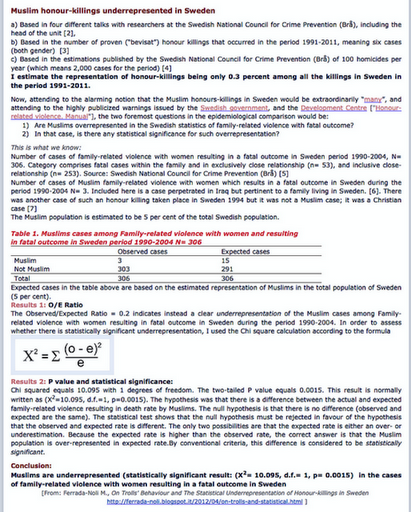 However, honour-killings as “epidemics” have never existed in Sweden. In fact, Muslims are statistically significantly underrepresented in cases of family-related violence with women resulting in a fatal outcome in Sweden. Amnesty, United Nations UNHCR and EU Court of Human Rights (see interview down below) have reacted against the Swedish mass-deportation of Iraqi political refugees. The real, secret position of the Swedish government on Muslim migration issues is actually no different than that of Sweden democrats. 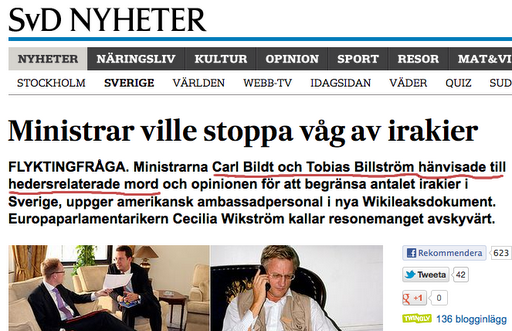 The active participation of “neutral” Sweden in the occupation war of Iraq on behalf of the U.S. forces is well known. The Swedish Bofors artillery-weaponry, used in the Iraq war; the currently favourite missile weaponry of the U.S. Army in Iraq provided by Sweden; the protection silos constructed by Sweden on behalf Iraq during the Saddam Hussein era, paid by the Iraqi nation, and whose construction drawings Sweden later provided to the Americans for their bombardment; the new Excalibur Artillery shells delivered to U.S. forces in Iraq 2007; the solid and the uncritical support provided to the U.S. propaganda operation in Europe by Sweden’s State-owned broadcasting media and MSM on the fabrication arguments justifying the occupation of Iraq (Busch’s falsified “weapons of mass-destruction” argument); etc., etc. Nevertheless, according to the Iraq War Logs by WikiLeaks, it was a war resulting in 109,032 Iraq deaths, including 66,081 civilians. Sweden also received thousands of Iraqi refugees on the basis they proved being at risk for politically hostile behaviour to or persecuted by Saddam Hussein regime during and after the Gulf War. More recently, in the design of making the monarchy of Sweden a “super power” in the international arena (“stor makt“, disclosed 27 February 2012 by SvT using WikiLeaks sources, the Global Intelligence Files), Minister of Foreign Affairs Carl Bildt announced around 2007 Sweden’s plans to open anew an embassy in Baghdad. C O N F I D E N T I A L STOCKHOLM 000136 SIPDIS E.O. 12958: DECL: 02/20/2018, “Following the signing of a repatriation agreement with Iraq, Sweden has agreed to open an Embassy in Baghdad. 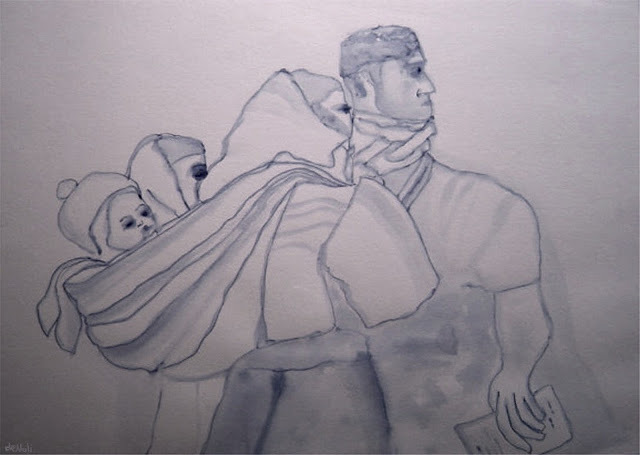 . . .On February 18, 2008, Sweden signed an agreement with Iraq to improve coordination and cooperation in facilitating the return of Iraqis living in Sweden. Iraqi Foreign Minister Hoshyar Zebari and Swedish Ambassador Niclas Trouve (resident in Jordan) signed the accord which calls for Iraq to welcome back Iraqis whose asylum applications have been rejected in Sweden. Sweden still planned to send most Iraqis back on a voluntary basis, but the agreement does allow for Stockholm to deport Iraqis against their will. The exact number of deportations of Iraqis that ensued is not known. What is known, however, is that Sweden had refused 28 per cent of the applications for asylum by Iraqis refugees in Sweden in 2007 [the figure according to the U.S. report in the WikiLeaks cable;  the official figures admitted by Sweden is 26 per cent]. As the Swedish Migration Board had reported 18,599 such asylum requests regarding Iraqi refugees, the estimated number of refugees eligible for repatriation or forced deportation for only that year 2007 could have been over five thousand. 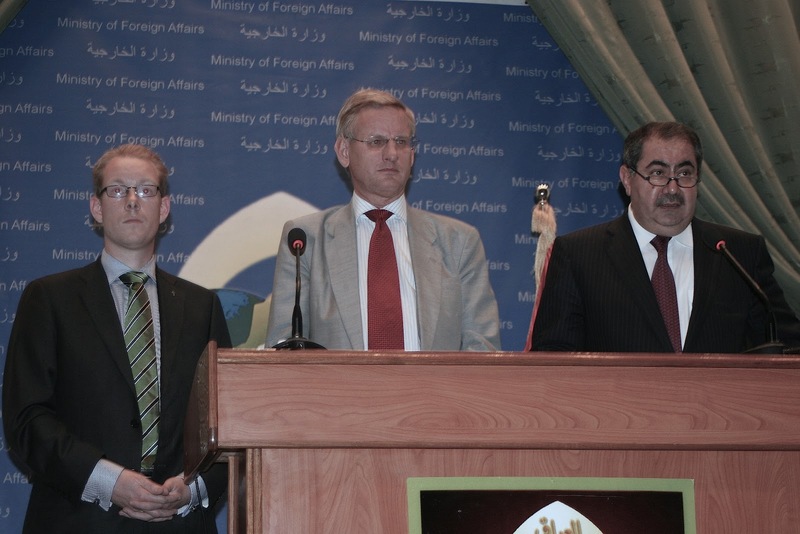 According to several media reports in Sweden – using the WikiLeaks source above – the Swedish ministers Carl Bildt and Tobias Billström took up the issue of Iraqi refugees to Sweden focusing on the “problem” of honour-related killings. And how to “limit the number of Iraqis in Sweden”? Here is when agitating about false epidemics on Muslim honour-killings comes in handy, to legitimatize among the public the repatriation and forced deportation of Iraqi political refugees. But these deportation measures had quite another explanation, a one more “State secret” which we the people could learn about thanks to the work of WikiLeaks. Sweden has the obligation under international law to see that the treating of ethnic minorities, as a group, should be as fair as its treatment of the ethnic majority, or any other cultural minority, with the same rights and human respect. Honour-related violence is a horrible thing; as horrible as any family-related violence, regardless if it is perpetrated by Swedes, Muslims or other minorities. Yet, an “epidemics” of Muslim honour-related killings have never been demonstrated in Sweden. More over, our investigations – done in the line of my years-long research subject Cross-cultural Fatal Injury Research at the Karolinska Institutet – shows an underrepresentation rate. The using by the Swedish government of the argument “Muslim honour-killings” to legitimate the mass-deportations of refugees is neither epidemiological tenable or ethical. The using by the Swedish government of “(public) opinion” as main argument for government decisions denotes not only opportunist populism but also absence of leadership capacity. In real terms, the leading right-wing conservative party in the Swedish Government (the Moderates) to which PM Fredrik Reinfeldt and ministers Carl Bildt, Tobias Billström, Beatrice Ask, and Lena Adelsohn Liljeroth belongs, has no different stand on the Immigrant issue than that one of the far-right Sweden democrats. The difference being that the Sweden democrats stands honestly and publicly for their points, whereas Reinfeldt, Bildt & company does not. What is actually a problem in Sweden is that the State and media sensationalize cases of honour-related violence and killing but have failed in real terms on multiple occasions to protect victims of either ethnic Swedish or immigrant background from domestic violence-even when these same victims have sought help. The issue at hand should be how to improve advocacy and protection services of victims of domestic violence, not how to most effectively whip up Islam-phobia for the benefit of political platforms, populism, and “buddy-relationships” with foreign States. Interview 1010 012 02 with Thorbjørn Jagland, Secretary General of the Council of Europe. European Council on Refugees and Exiles doc.